With Cristiano Ronaldo, only one thing is certain: you write him off at your own peril! 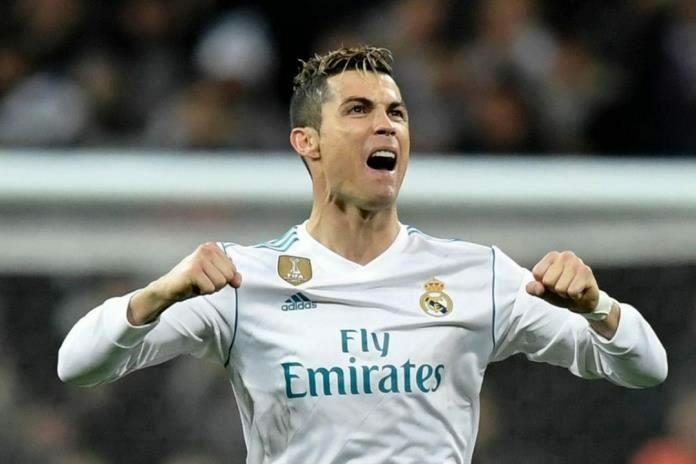 If you were privileged to enjoy Valentine’s Day behind your screen or inside the Santiago Bernabeu, then you would know that Cristiano Ronaldo is certainly not done yet. Just as we highlighted in our special birthday editorial, this is the year the Real Madrid superstar has the opportunity to girdle up and claim his immortality as a Blanco or lag behind and get hanged by his haters and eager critics. Well, as things stand, he is prudently executing the former to near perfection. It needs no telling because the headline says it all. For over a decade, Cristiano Ronaldo has carried the European tournament on his back and has made it his. His consistency in this domain is second to none and the record books affirm this, should anyone dispute. 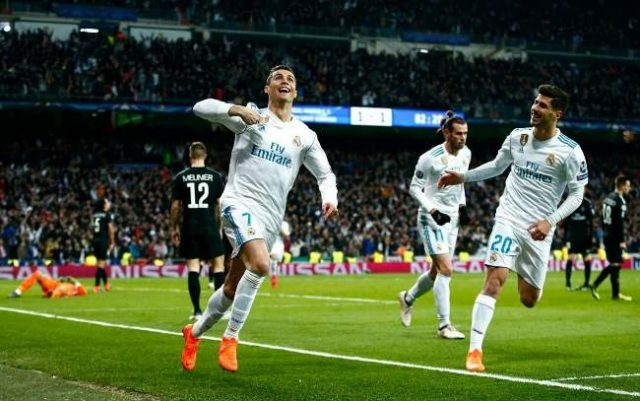 Last Wednesday’s brace ensured that Cristiano Ronaldo became the first-ever player in the history of the UEFA Champions League to score 10 or more goals in seven different seasons. The mind-boggling detail about this incredible milestone is that the 33-year-old “finished” forward has done so consecutively, spanning from the 2011/2012 season to the current 2017/2018 season. Cristiano Ronaldo scored his 10th and 11th Champions League goals in the season versus PSG. He still leads the top scorers’ leaderboard with 11 goals in seven appearances. The brace means Cristiano Ronaldo has now scored 101 Champions League goals for Real Madrid in his 95 appearances since joining. Cristiano Ronaldo is now the first player in the history of the UEFA Champions League to score 100+ goals for a single club. Cristiano Ronaldo is the first player to score 33 braces in the Champions League’s history. Cristiano Ronaldo is the first-ever player to score in the first seven UCL matches in a single season. Cristiano Ronaldo has scored 60 goals at home in the UEFA Champions League. No player in the history of the competition has more. What awaits Ronaldo and Real Madrid in Paris? While we commend the tenacious Cristiano Ronaldo, it will only be fair to compliment Zinedine Zidane’s efforts with regards to how he set out his team. A magnanimous challenge was thrown at the Frenchman and his band, and they collectively executed their duties to near perfection. Zidane took a huge risk by benching the talismanic Gareth Bale and tweaking his formation to accommodate Isco coming up against an organized and potent Paris Saint-Germain side and it paid off. The urge to introduce Marco Asensio into the fray was also a genius tactical move considering the youngster played huge roles in Marcelo’s strike and Ronaldo’s second goal. 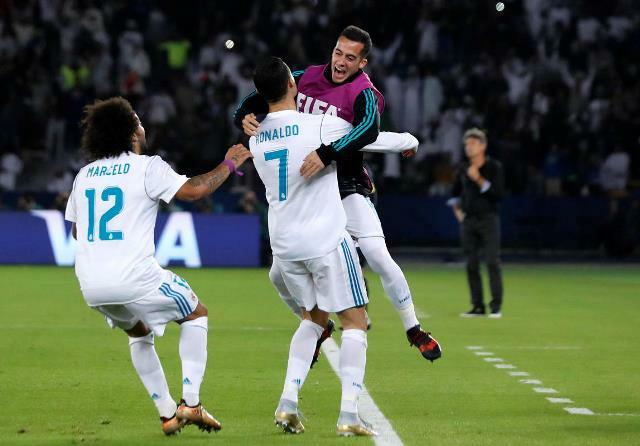 Inasmuch as there is still a second-leg to play in France, things look positive so far for the Merengues and, should they approach the game just as they did at the Bernabeu, the dream of a third successive European glory could be pretty much underway. 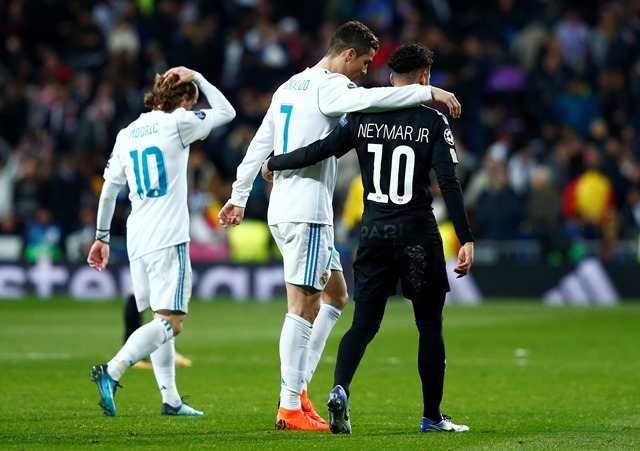 Nonetheless, a disenchanted Neymar Jr, an unhappy Dani Alves, a misfiring Mbappe, a disappointed Di Maria and a tactically overwhelmed Unai Emery, will all seek to make amends for their ineptitude when Los Blancos grace the Parc des Prince. They have a two-goal deficit to overturn and the clash of the two expendables will boil down to who really wants it the most. Knowing Ronaldo, it is exceedingly doubtful that anyone wants the quarter-finals qualification more than he does!